Should You Barter and Swap Your Life Coaching Services? Should You Barter and Swap Your Life Coaching? If you are going to barter and swap your life coaching or any professional service, make sure you are getting a good deal and avoid the traps that will leave you feeling hard done by and out of exchange. How bartering and swapping can work for coaching? To Barter your coaching services, whether it be for personal or business clients can seem like a good idea when you are starting out as a coach and want to get as much experience as you can. Exchanging your coaching for what someone else is offering can also present as a good solution to get what you need or want, without actually having to come up with hard cash. But bartering your coaching for needs to be done carefully if it is to work for you. When you are exchanging solid goods, such as say a fridge for a dining suite, it's fairly straightforward because there is an agreed exchange of something solid and tangible. But when it comes to exchanging your coaching for another service, such as marketing, PR, graphic design, massage, hairdressing etc., or even a mix of goods and services there is a lot to consider before you go ahead. The Art of Barter is full of great ideas, but for the barter to work well for coaching there has to be a real business agreement. You both need to agree what you are giving and getting so there are no nasty misunderstandings down the track. Here are five vital questions to ask yourself and the person you are considering the barter and swap with before you decide to go ahead with the exchange. Getting clear about what's in it for you and whether that is what you want and not what you feel obliged to accept, will help you decide whether or not the barter on offer is for you. And when you've read how to make bartering work, be sure to have a look at the comments from other coaches at the very foot of this page. Am I exchanging for something I really want? I was once offered a case of red wine in exchange for a coaching session. I like a glass of wine, but don't like most reds. So the exchange was not what I wanted or needed as exchange for my coaching, at that time. Is the person offering their service as a trade someone you would consider for this service anyway? You need to have real confidence in the person and what they are offering. If you don’t, you may be dissatisfied with your end of the exchange and end up going somewhere else where you have to pay anyway. Is the time/$ value of the service being exchanged pretty equal? Or does it involve more time commitment from one of you than the other? Discuss this up front and reach an agreement. Otherwise there may be misunderstandings and resentment. However, keep in mind that sometimes it is the value of the exchange and not the time needed to give it, that should be considered. For instance, you may happily agree on two hours to fold promotional flyers in exchange for 30 minutes of coaching! Does the person really want your coaching? When you are offering a coaching barter or swap, make sure the person really wants that coaching, understands what it is and what commitment may be required of them to take it up. If they are half-hearted about exchanging for coaching, it may not work for either of you and you will both end up feeling frustrated and cheated. Is the barter for time only, or does it cover actual expenses? Be clear about what the barter does and does not include and put it in writing. For instance there may be time and materials involved. Maybe your coaching includes a career or personality profiling that has to be paid for. Or one of you has to travel a distance. Put your coaching barter and swap agreement in writing including a dollar value and time limit for each of you to honor the exchange. 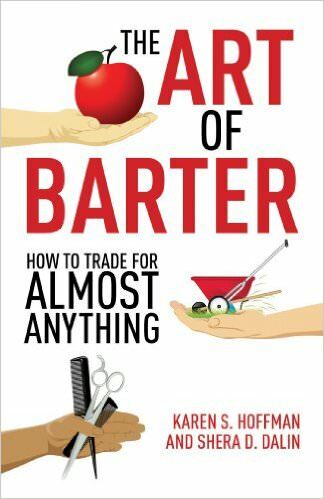 This is essential if the barter trade is not simultaneous and your coaching is being provided first! 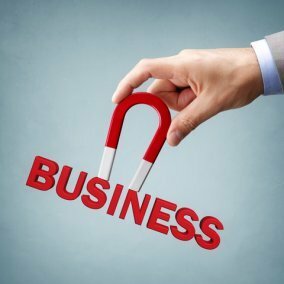 So the bottom line, as with any business deal, is caveat emptor – buyer beware. Go into the barter exchange with your eyes open, firm agreements and no room for misunderstandings. bartering your life coaching services? Did bartering your coaching really work for you? Did you ended up feeling cheated and dissatisfied with the deal? Please share so others can benefit from your experience!